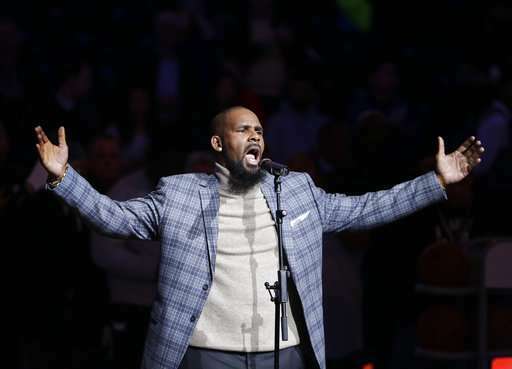 R. Kelly's management decried the move in a statement to The Associated Press. In a statement, the founders of the #MuteRKelly movement applauded Spotify's move. Kelly's music doesn't apply—it's been defined by its explicit sexual nature—but he's also written love ballads, pop songs and even gospel music. "While we don't believe in censoring content because of an artist's or creator's behavior, we want our editorial decisions—what we choose to program—to reflect our values," the statement said. "So, in some circumstances, when an artist or creator does something that is especially harmful or hateful (for example, violence against children and sexual violence), it may affect the ways we work with or support that artist or creator." Kelly's management says while it's gratified that Spotify didn't completely remove him from Spotify, it said it is acting on "false and unproven accusations" and succumbing to social media pressure. It also noted that it still promotes music from acts that are felons and who have been arrested or convicted of violence against women, and songs that promote violence against women and misogyny. However, there are myriad other artists who in theory could be subject to the policy. Chris Brown is featured in several Spotify-created playlists; he pleaded guilty to an attack on Rihanna several years ago. And there are a multitude of songs from artists in different genres that could be construed as hateful. GLAAD Director of Entertainment Media Jeremy Blacklow called the policy "a strong step in creating a platform that encourages what most music fans want today - music and artists that reflect diverse voices and foster respect for everyone." "Content that emboldens hatred or violence against marginalized communities, as well as artists who engage in harmful conduct, are not worthy of being showcased," Blacklow said in a statement.